Film Scanner 25 fps @ 2K, 15 fps @ 4K with touch-free pin registration, LED light, ( Waiting List) SOLD - Qualified customer can contact us for details. 2017 SOLD. Contact us now to be put on our Waiting List. SCANITY is a film scanner that offers unprecedented speed, versatility, stability, and safe film handling. It serves a variety of scanning applications including, dailies, feature film mastering, EDL/conform scanning, low resolution browsing, archive and restoration, short-form commercials, as well as digital intermediate scanning. 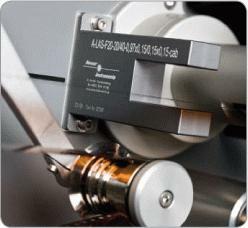 SCANITY uses unique Time Delay Integration (TDI) line sensor technology, and dedicated FPGA image processing to deliver record-setting high-speed film scanning – all while handling film gently and safely. SCANITY is an incredibly versatile and flexible scanner that serves a multitude of scanning applications. 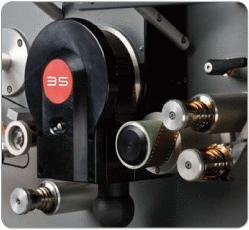 SCANITY uses a completely new and uniquely designed Roller Gate in the scanning area of the film path. This method is the most gentle way to transport and scan the film, and besides from the rollers, there are no mechanical parts. SCANITY provides touch-free pin registration rather than mechanical pins to ensure excellent image steadiness. SCANITY uses efficient LED light sources, dedicated hardware processors, as well as fewer and less expensive third party components. This lowers initial costs as well as operational expenses.